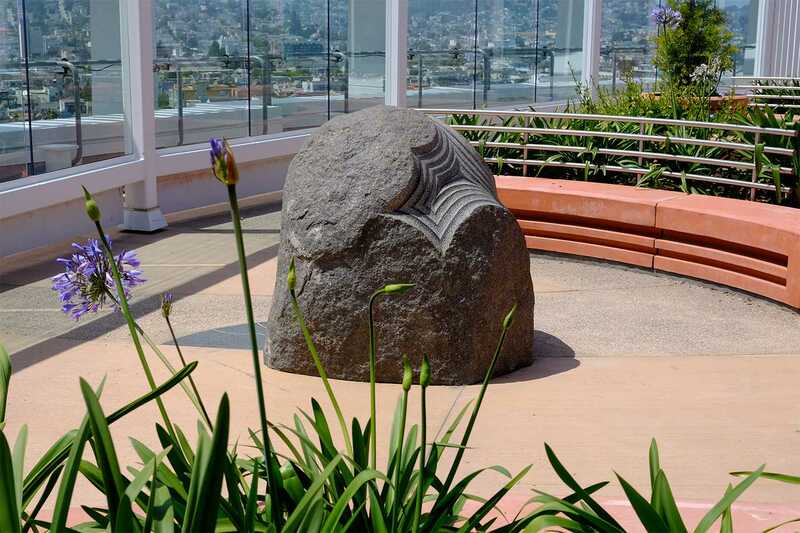 This site is the roof garden at the new San Francisco General Hospital Acute Care Unit. 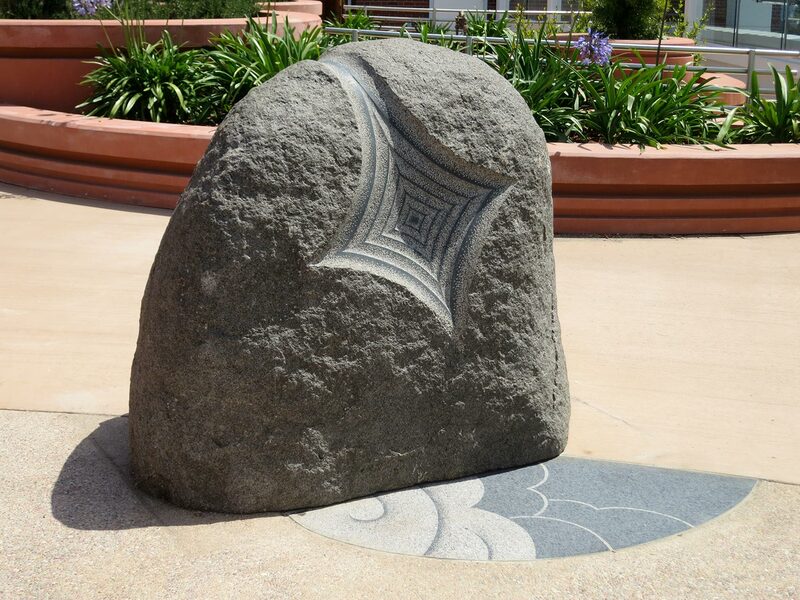 The roof garden was designed to offer a restful space for families and staff. 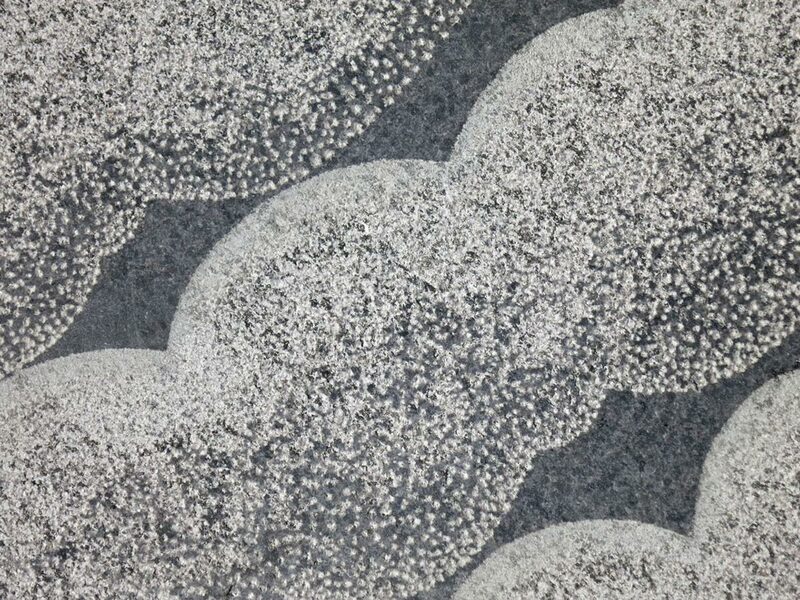 The artist’s design concept was to bring a sense of healing and restoration for the visitors by connecting them with nature. 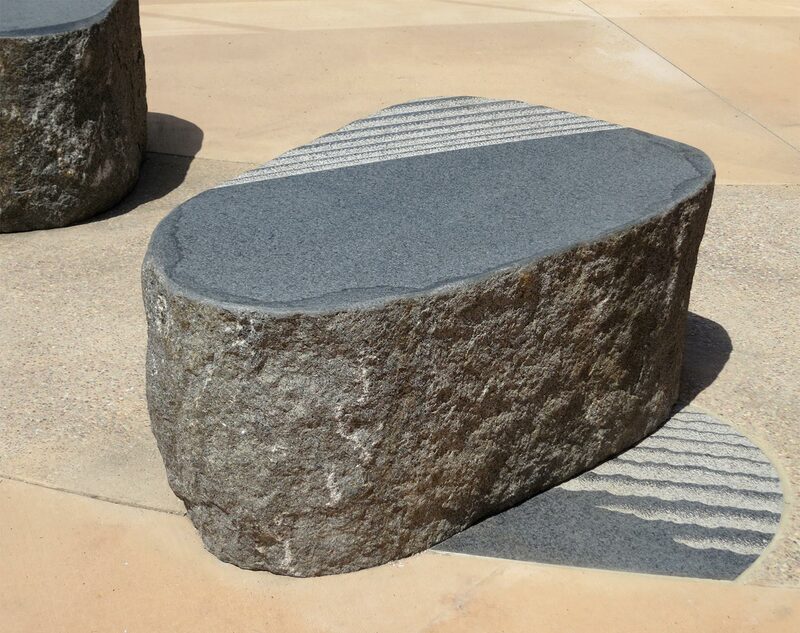 The artwork consists of a series of hand carved granite boulders, sculptural benches and pavers that are installed throughout the garden, connected by arcing paths. 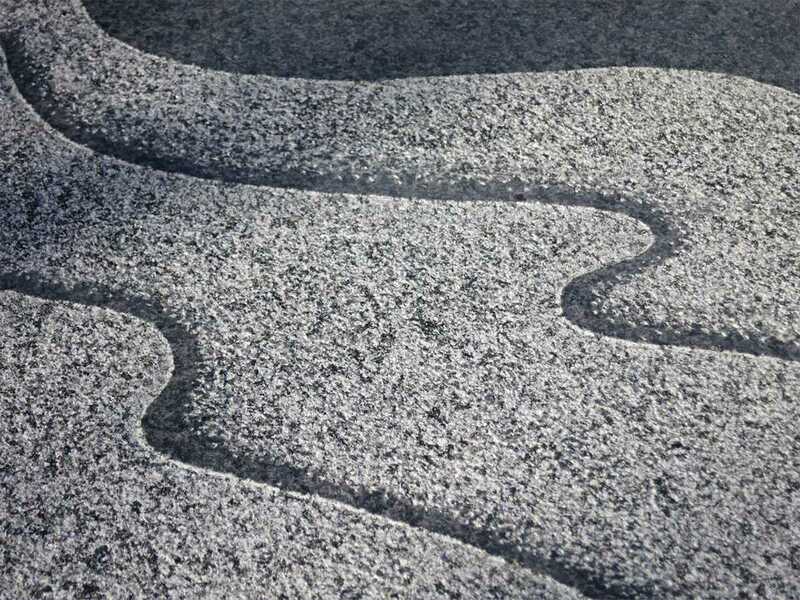 Ripples carved into the boulders express the themes of water and wind. 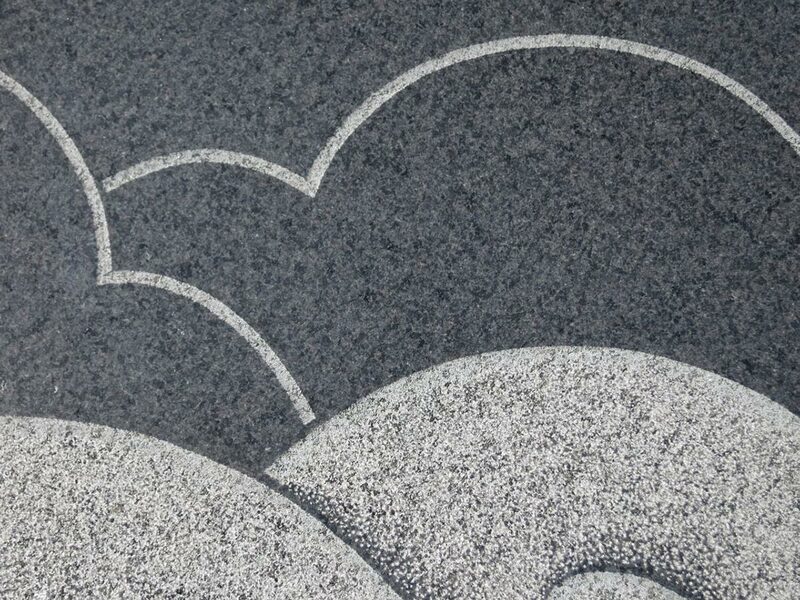 The design on the stone pavers was inspired by the artist’s childhood memories of puddles after a rainstorm; the polished surfaces and cloud forms reflect the sky above.